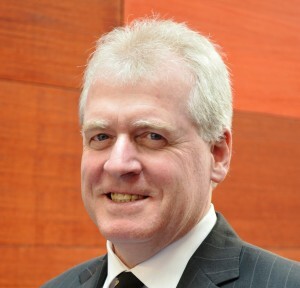 Dr John Duncan has participated on Boards in Australia, Indonesia and New Zealand and is a member of the A.I.C.D. He is a distinguished leader with a recognised professional reputation in a career in Higher Education spanning 35 years and over 25 years in International Education. He has lead, managed and grown the largest entity (Deakin Colleges) of Navitas and ASX 200 listed corporation over a period of two decades. John’s Navitas career has encompassed a broad range of senior executive roles including General Manager of Navitas Victoria and New Zealand, College Director and Principal of Deakin College and Director of Marketing and Business Development. Prior to this he held senior positions at Monash University including Faculty General Manager, Director of the Monash University Foundation Year and Director of Marketing and Business Development for Monash International. John possesses first class communication skills across a diversification of cultures and people at a range of levels within the Higher Education Sector, particularly in the international sphere. He has been regularly engaged for his entire career with both Navitas and Monash University throughout Asia, (especially South Asia), Africa, the Middle East and New Zealand. His many years experience gained at senior levels has equipped him with the ability to offer insights into strategic planning, marketing and growing universities businesses and an understanding of the relationship between the private and public education sectors within Australia. His Doctorate from Monash University which is both contemporary and relevant was titled “The Corporatisation of Higher Education in Australia”. This study is the only one of its kind completed in Australia and has underpinned much of what he has been able to achieve in his career.